Some designer cut out any branding from the game gear and included it in this graphic about a "modern" game design e-learning course. This may have also come from a stock image site, which would make this situation even worse. A clueless designer saying, "Oh this is gamey looking, I shall buy this stock image for 5 farthings, and use it in my professional design." 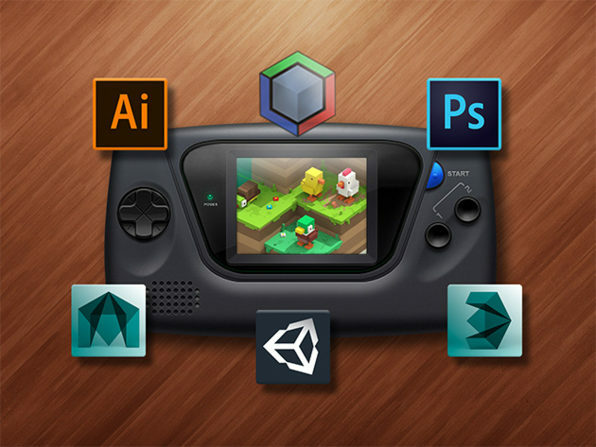 I know Sega is out of the hardware market, but it seems strange to see the game gear showing up in random graphics on the web. I wonder if Nintendo would throw up a fuss if someone used a Gameboy, sans branding?